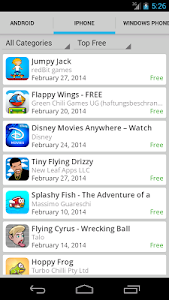 The application, Mobile App Store, is a List of Mobile application's of Android, iPhone and Windows Phone. 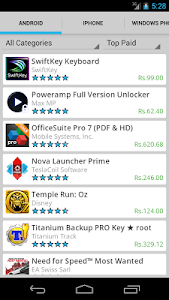 You can install all apps that are available for Android Platform. 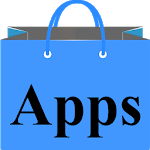 You can browse all the apps that are available for iPhone in iPhone App Store and for Windows Phone in Windows Phone Store. 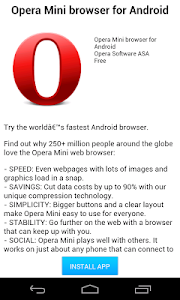 - All the Categories are available. 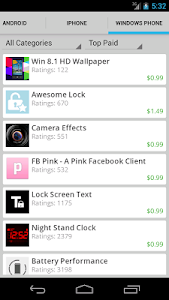 - Top free, Top Paid ,Top Grossing and other apps are available. 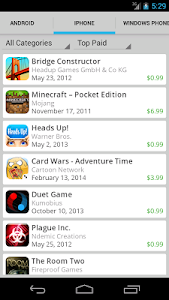 - All details for each App: description, price, category and release date. 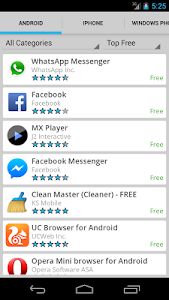 Note: USING THIS APP YOU CAN ONLY INSTALL ANDROID APPS. 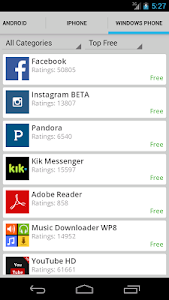 THIS APP DOES NOT ALLOW DOWNLOAD OF iOS and Windows Phone APP ON YOUR DEVICE, YOU CAN JUST BROWSE IT. Similar to "Mobile App Store"